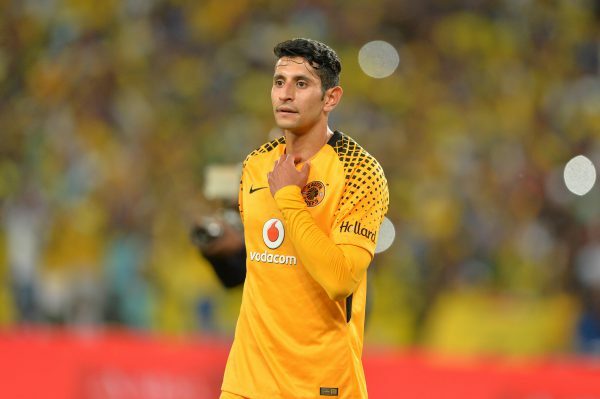 Leonardo Castro has criticised the tactics of Kaizer Chiefs coach Giovanni Solinas after the home side let a two-goal lead slip against Bloemfontein Celtic at FNB Stadium on Wednesday night. Chiefs were 2-0 up with 15 minutes left, but two quick goals earned Steve Komphela’s side a point, and Castro clearly felt his coach could have done more to close out the game, while also admitting the players had not done enough. “I feel frustrated because we were leading and we were supposed to read the game and close it. But sometimes that is the part where the coach will need to help us on. As players we know what is happening and we try but at the end of the day we can’t concede goals like that. Stupid goals – in the previous game we did the same thing,” said Castro. Solinas’ decision to not solidify his defensive structure has been widely criticised, but he said he wants his team to always go for the kill rather than try and manage games. Chiefs will no doubt hope for a better defensive display when they host SuperSport United in the MTN8 semifinal, second leg at FNB tomorrow night. The first leg ended 2-2. Castro said he wants the MTN8 for both personal and team reasons. “When I came here (to South Africa) I said I wanted to win everything. There are two cups I have not won and I want this one especially. It is also good for the team to win it because it has been a long time. “We realise there is pressure from the supporters and we seriously need to take this trophy,” he said. Chiefs have not won a trophy in over three seasons but they will not have it easy against an in-form Matsatsantsa and Castro knows this.